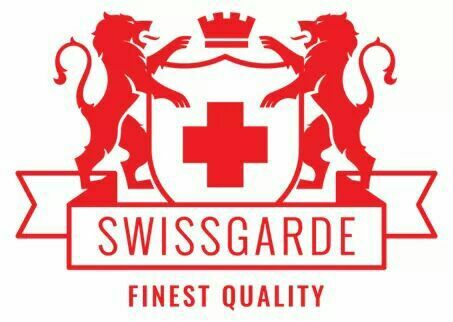 Swissgarde is an organization that offers partnership in physical and financial wellness. You can partner with us as a product user or as a business builder, you will still enjoy all the benefits our partners as we are committed to putting smiles on the faces of all our partners in Nigeria and Africa as a whole. There are no points for different products cos all our products are unique, we dont give special preferences to any of our products. There are no limits to the number of people you can recruit into the business and you can earn commissions on the purchases Off your downlines even up to the ninth generation. There is no balancing of leg before you earn commissions. You can earn on just one person you introduce to the business. It is all about TEAM work. This unique & excellent Compensation Plan is designed to reward, award, recognise every effort you put in from one star level to the other. Every newly registered distributor must start from this first star level. ON STAR 1, you sell the products and make your 30% profit. You don’t get to receive any cheque commission pay out until you move to star 2. That is because the company pays commissions to uplines on the purchases of their downlines. In other words you must be at least a level above your downlines to earn. As a registered distributor, you start on Star level 1. You get to buy products @ 30% discount either for your own usage or for onward sales which translates to 30% profit on your purchases. To move from Star 1 to Star 2, the company requires you to do a Wholesale Turn Over of N210,000 that is your personal purchases plus the purchases of all your downlines in three consecutive months must total N210,000. You will move to Star 2. You can decide to achieve this in one or two months. ON STAR 2, you will get to purchase product @ 33.5% discount which translates to 33.5% profit on your sales. The company will pay you 5% commission on all the purchases of your downlines who buy during the month. To move from star 2 to Star 3 the company requires you to have an accumulated WTO of N462,000 within a three months period to move up. ON STAR 3, you will get to purchase product @ 37% discount which translates to 37% profit on your sales. – 10% commission on all the purchases of your downlines on Star 1. – 5% commission on all the purchases of your downlines on Star 2. To move from star 3 to Star 4, the company requires you to have an accumulated WTO of N1,050,000 within a three months period to move up. You will observe that the higher you go, the higher the discount on products and the higher you go the higher the percentage pay out commissions. Hence you make more PROFITS on sales and you earn more COMMISSIONS by recruiting new distributors into your team. ON STAR 4, you will get to purchase product @ 44% discount which translates to 44% profit on your sales. – 30% commission on all the purchases of your downlines on Star 1. – 25% commission on all the purchases of your downlines on Star 2. – 20% commission on all the purchases of your downlines on star 3. – 10% commission on all the purchases of your downlines on star 4.